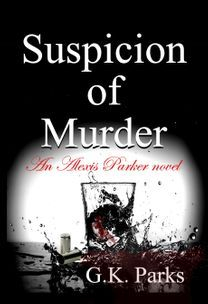 In a single moment, Alexis Parker is transformed from private investigator to cold-blooded killer. With a bullet lodged in her side and a corrupt cop determined to silence her, she’s forced to do the one thing she never imagined – she must run. But running only makes her look guiltier. When she signed on to safeguard her client’s nightclub from thieves, she never thought that twelve hours later she would be wanted for murder. Wounded and scared, she has to use all of her resources to evade capture. She even allies herself with criminals – the types of people she spent years arresting. But that was a lifetime ago, when she was a federal agent and everything was much more black and white. Now, she’ll take all the help she can get, regardless of where it comes from. Alexis is almost out of time and leads. No one can corroborate her story, and the only proof of her innocence is the bullet she carved out of her flesh. As the infection worsens, she considers giving up because if the police don’t kill her, the fever will. Fortuitously, she encounters a man who promises to make her problems go away. He has evidence that can exonerate her, except it comes at price. Helping him could cost her everything, but reluctantly, she agrees. However, he takes advantage of her desperation, and the bodies soon pile up. When she attempts to defy him, he threatens her lover. Now she’ll do anything to get her old life back. With no where else to turn, she seeks assistance from her former colleagues, and they devise a plan for her salvation – become bait. If it works, life will return to normal, and if it doesn’t, police corruption will be the least of her worries.